Career is one of the major life goals of every single person all over the world, on the very basic level, a kid is spoon feed by the elders about the selection of ultimate career option. In the school going age, kids know what they want to be n future, such as doctors, engineers, police officer etc. Most of them resume the same passion and field in the coming future but some of them prefer to shift to other interests. Clearing the class 12th board examination is itself an achievement but after that, the puzzle is even complex, the students have to pick up the best college for admission. A research was conducted on employ-ability-focused study based on 200,000 engineering students who graduated in the year 2013. The findings were rather actually shocking. As many as 97 per cent of graduating engineers want jobs either in software engineering or core engineering. However, only 3 per cent have suitable skills to be employed in software or product market, and only 7 per cent can handle core engineering tasks. According to the HRD ministry report in 2013, India has 6,214 engineering and technology institutions which are enrolling 2.9 million students. Roughly 1.5 million engineers are released into the job market every year. Thus extensive research and right methodology is to be followed in order to the chose the best Engineering College for one self. In case you want to study Engineering and you have secured good marks in the board examination then only you have a license to be in one of the best engineering colleges, but now selection for the college is the next big mission. There are a number of Best Engineering Colleges in Delhi NCR that are on the wish list of students aspiring for engineering graduation and most of the students have simple plans about them. 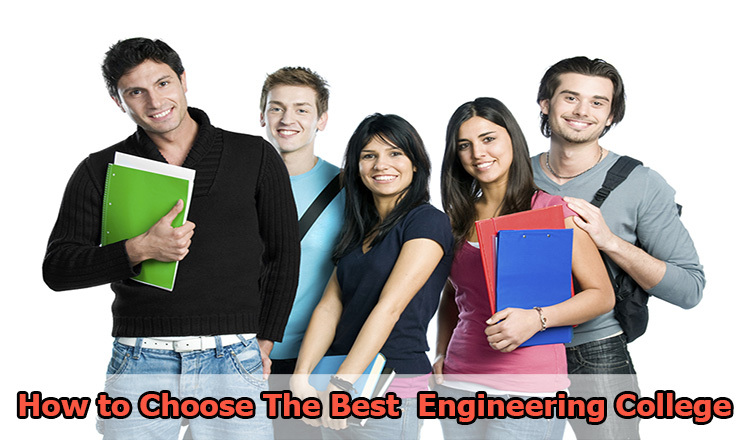 However, sometimes if a student does not have these early plans and he does not have one fine engineering college in his target then how can he select the best engineering college? Most of the times the students go with the flow and pick up the colleges on the basis of higher merit requirements, higher tuition fee, the maximum number of students, larger campus and much more. This seems to be a random and not so impressive way to select the suitable college for the higher studies. Most of the students do have an early plan to join their dream college but those who do not have that specified choice or facing the barriers of JEE Main Examination then here are the easy tips to select the best college. Join Entrance Exam 2017 is the hurdle that you need to pass on any cost if you want to get admission in any reputed college. So, make sure you will clear the exam above the cut off for 2017 and then only you will be in a reputed educational institution. However, here it is about the selection of that particular institution, following tips could help you to pick up one of the Best College in Delhi NCR. It is important for you to identify your own interests before finalizing your college; it is good to pre-define your area of studies in engineering like software, mechanical, automobile, civil, or any other. This will let you search out the institution according to your ultimate interest. Most of the students do not even figure this out and thus they face lot of issues when appearing for entrance exams and then interviews. You cannot reach at the best without any proper research, so make sure you will check out all the options of colleges and make a list, then shortlist the colleges by exploring their features and other important dimensions including past placements. If you really want to be in one of the best engineering colleges then never get stick to one location because you are comfortable in it. It could be possible that you will find out a most suitable college for you somewhere out of town, but you cannot leave the opportunity because you have to get out of your comfort zone. Be ready to jump out of your hometown and study the things that you love. Keep reading the posts and we come out with the rankings of the Colleges in Delhi NCR which will be the apt measurement and guidance for final selection.